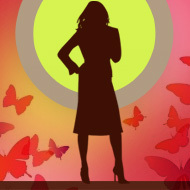 Women are now entering high-level decision making positions in the world. The Universal Declaration of Human Rights recognizes the right of every person to take part in the government of his or her country. Equal access of men and women to power, decision-making and leadership at all levels is a necessary precondition for the proper functioning of democracy. Our Rediff labs team analysed 2014 data from the Ministry of Statistics and Programme Implementation on the participation of women in decision making at administrative levels in India in three different sectors. There were only 2 women judges out of 30 judges in the Supreme Court and there were only 58 women judges out of 609 judges in different High Courts. The above map shows the percentage of women judges in each high court in India. The highest percentages of women judges are present in high courts of Delhi, Chandigarh, Chennai, and Mumbai and there is no women judge in a total of 6 high courts in India. Female participation in elections has gone up from 56% in fifteenth General Elections to 66% in the latest one (sixteenth) in 2014.In the states, women share is only 8% in assemblies. The above map shows the percentage of women MLAs elected in each state assembly elections. The percentage is calculated as the number of women MLAs elected and the total number of seats for that state. The state assembles with highest percentage of women MLAs are Haryana, Rajasthan, West Bengal and Bihar. 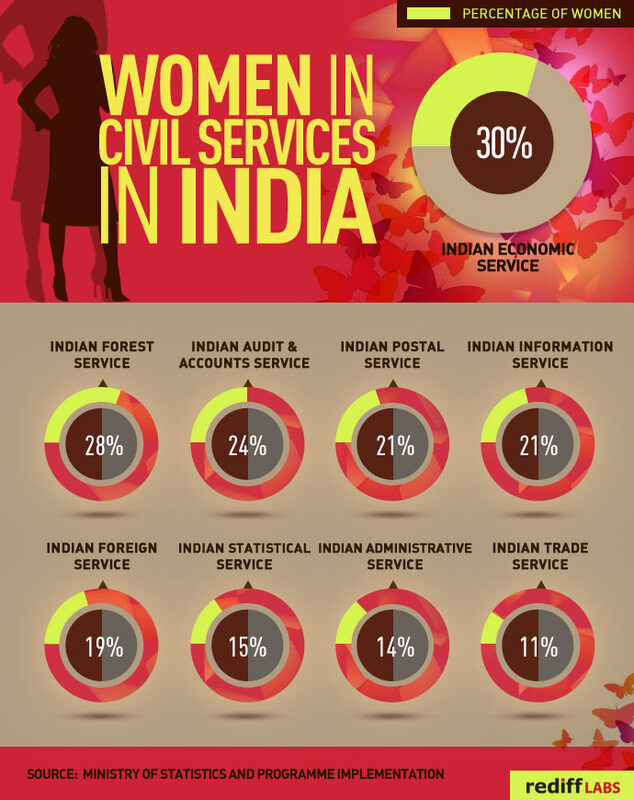 Among the All-India and Central Group A Services, 30% females are in Indian Economic Service and only 12% in Indian Trade Service. Best countries for business? India ranks a poor 97!